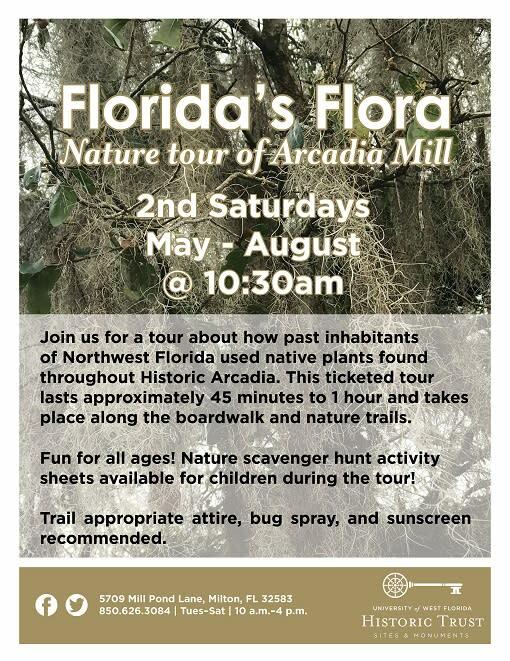 Guests of all ages will learn about how native plants were used in the past on the Florida’s Flora tour! 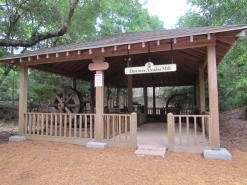 This ticketed tour lasts approximately 45 minutes to 1 hour and takes place along the boardwalk and nature trails. 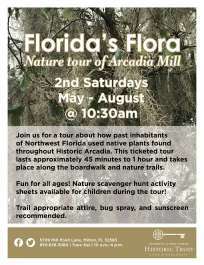 Trail appropriate attire, bug spray, and sunscreen are recommended. Tickets can be purchased online or in the Visitor’s Center.